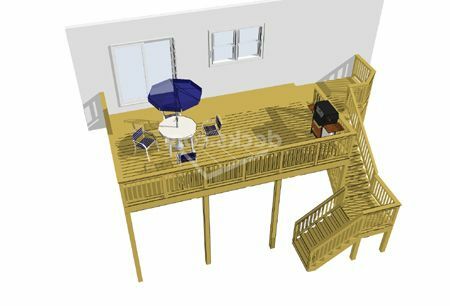 This plan was designed with traffic flow in mind. 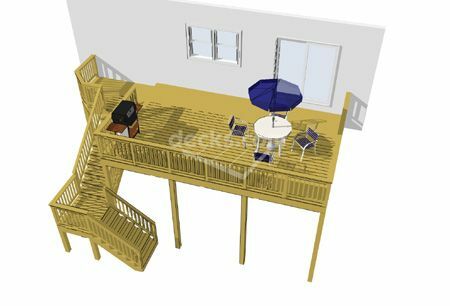 This deck features a 22' x 14' primary space that steps down to a 8' x 6' deck level at the top of a wrap around stair with a landing. 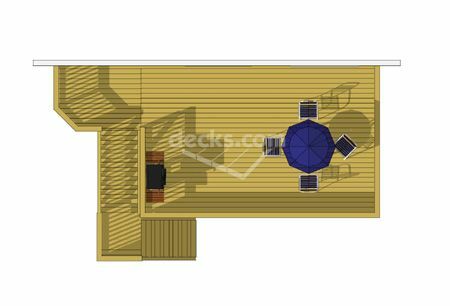 This design works well for high decks because it it visually blends the stairs into the deck.